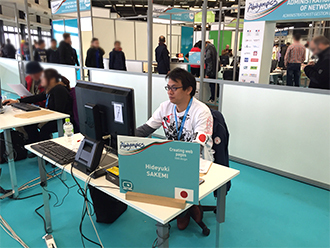 Hideyuki Sakemi, an employee of the Konami Group, took part in the 9th International Abilympics (held in Bordeaux, France) from March 23 to 26, 2016, representing Japan in the Creating Web Pages category. 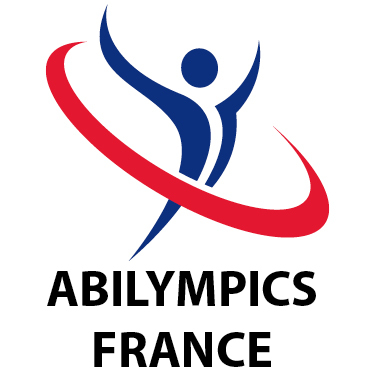 The International Abilympics is a worldwide competition held every four years, with the goal of encouraging persons with disabilities to have a sense of independence in occupations, as well as deepening understanding and awareness of diversity throughout the business sector and general public, and promoting international goodwill. This year’s Abilympics included vocational skill competitions in 48 categories, and featured 511 competitors from 35 different countries. Representing Japan were 31 competitors in 17 categories. Sakemi previously represented Tokyo in the 35th National Abilympics held in Aichi Prefecture in 2014, and was awarded the gold medal in the Creating Web Pages category. He was chosen to represent Japan in the 9th International Abilympics in recognition of this outstanding achievement. The Konami Group consistently endeavors to support our diverse workforce, such as by providing employment support for persons with disabilities, to create a working environment that enables employees from a variety of backgrounds to improve themselves and make the most of their talents.